After several years of planning and design, 2006 was a special year for His Highness Sheikh Suroor Bin Mohammed Al Nahyan and his Projects Department, for this was when construction work got underway. His Highness can be proud of succeeding in creating a very inspirational, prestigious and desirable landmark in the UAE. The scope, magnitude and uniqueness is breathtaking. The Australian architects DBI Design have created a sculptural feat that is a true landmark of the City. 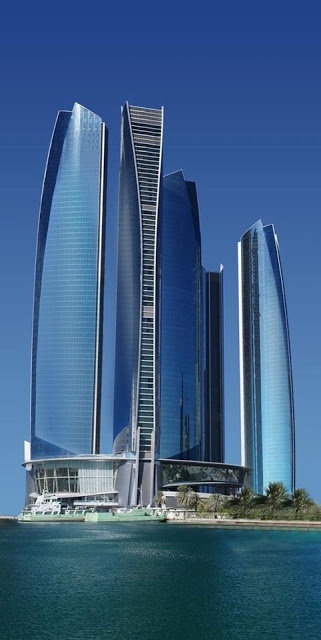 Changing the Abu Dhabi skyline forever the towers offer the most amazing vantage points – with sweeping panoramic views over the vibrant city and Arabian Sea.